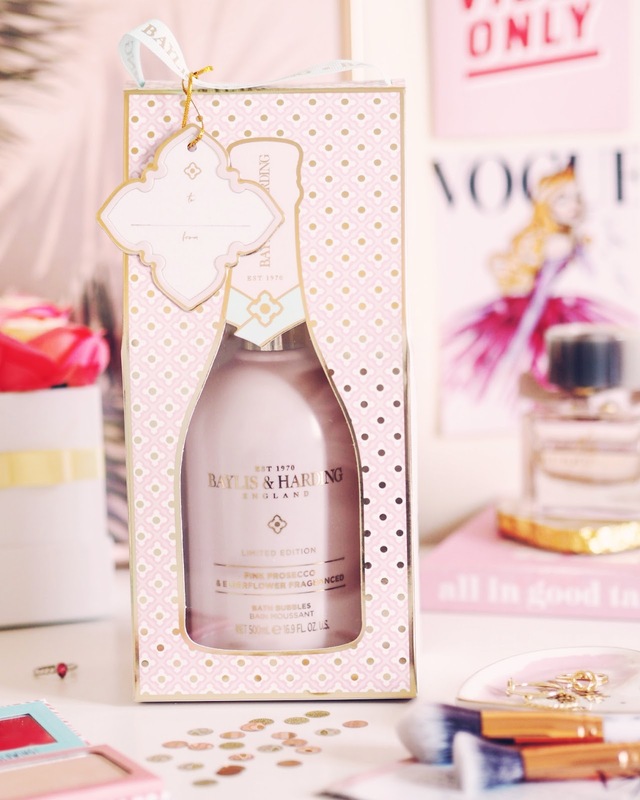 First up, is probably my favourite pick and it's this gorgeous bubble bath gift set, wrapped in the most beautiful millennial pink and gold packaging, which is any pink lovers idea of heaven. I absolutely love it! Inside we have a 500ml bottle of their Pink Prosecco and Elderflower bath bubbles, which is a huge size so will keep your loved one stocked up for relaxing bubble baths for a very good while! The scent is a lovely fresh citrus like one with fizzy hints of prosecco too, making a lovely sweet blend that I'm a big fan of! This one is currently reduced to £3.50 at Tesco, which I think is a great steal considering the size and beautiful packaging too. So, you get a really good selection of products in this one, and are all something I think anyone would make great use of. Aswell as the contents, I think this box looks so well presented too with the pretty pink and gold detailing, and will be sure to wow anyone this Valentines day! It's also quite affordable too for a gift set of this size, and is currently reduced to £16 on Amazon which I think is great considering the size of the products you get inside. They're of a really good quality for the price too and smell amazinggg, I seriously can't get enough of this scent. 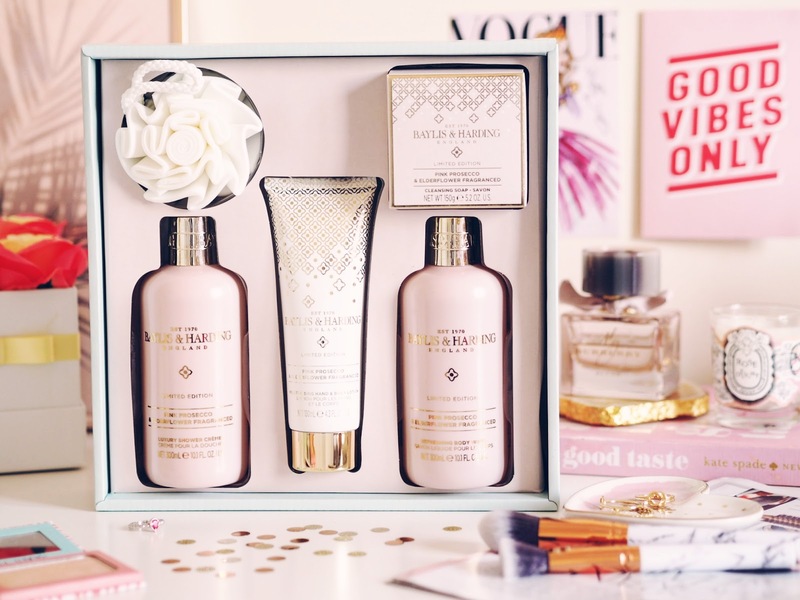 A gorgeous gift set perfect for Valentines, I also think this one would make an amazing mothers day gift too, as that will soon be approaching too, eek! ..and that's it! 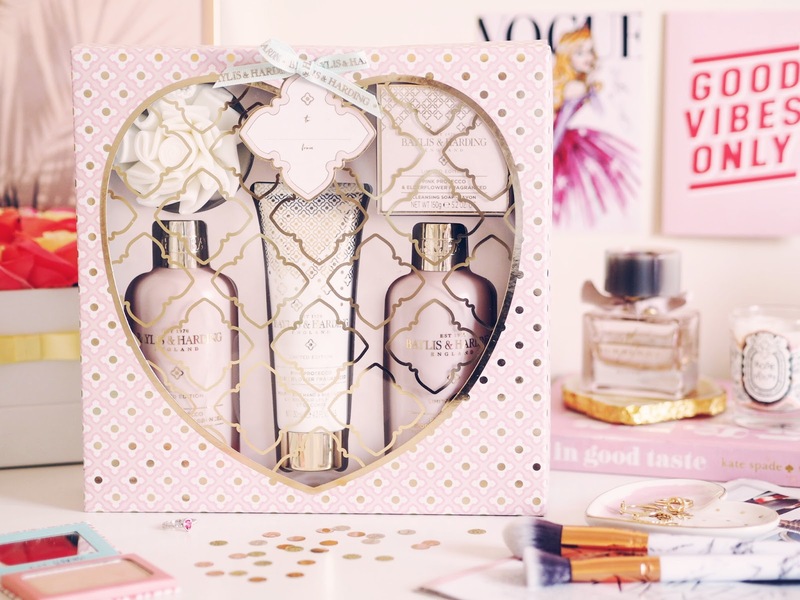 I hope you enjoyed hearing about some gift ideas from Baylis and Harding, they never fail to impress me with their gift sets, which are always so beautifully packaged. I'm so excited to see what they'll be bringing out next this year, as I am in love with this collection and it's dreamy scent! Let me know in the comments if you have a favourite range from Baylis and Harding?